As we say in the mountains of Western North Carolina this time of year, what a difference a few days makes! 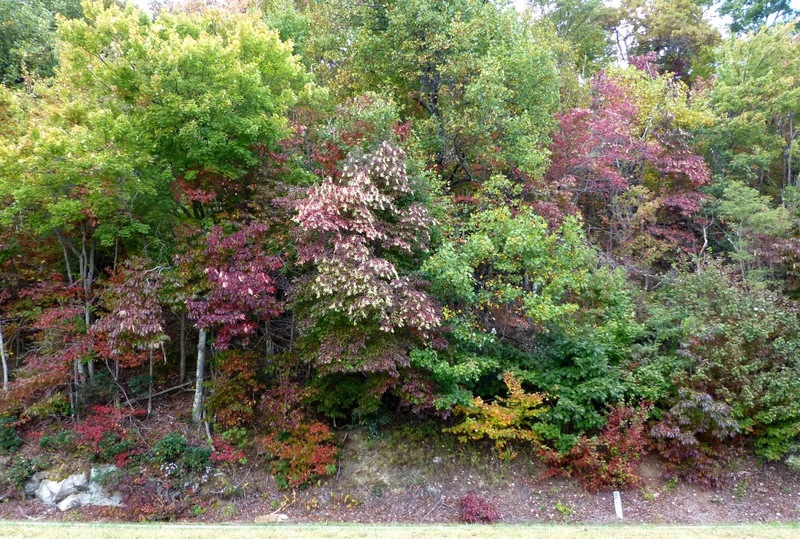 Color is rapidly spreading throughout elevations from 5,000 feet down to 2,500 feet, and 2012 is shaping up to be quite a spectacular year for fall foliage! Linville Falls: One of North Carolina’s most dramatic waterfalls is Linville Falls, about 45 minutes from the Inn on Mill Creek. 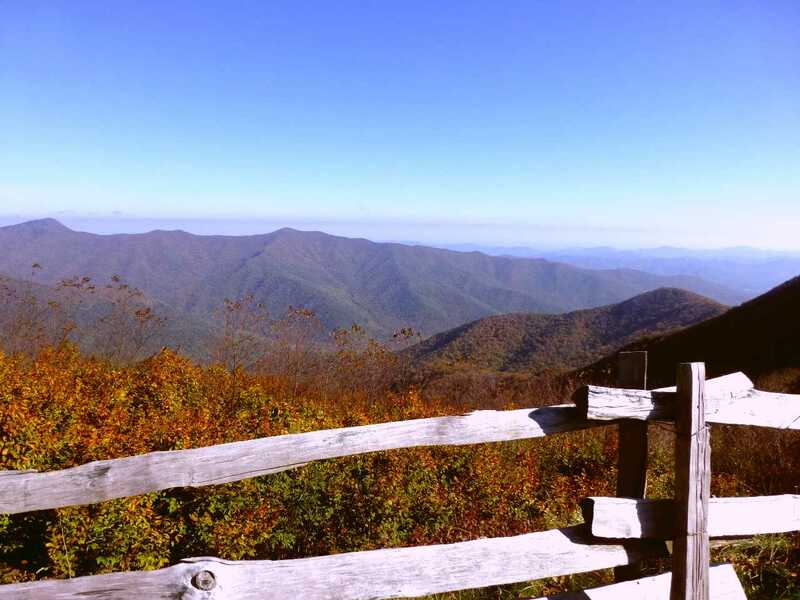 The quickest route is via Highway 221 north to the Blue Ridge Parkway, and then traveling about a mile north on the Parkway to the access road at Milepost 316.4. An easy hike along the Linville River offers views of the falls from different points along the trail, as well as lovely views of the peak fall foliage in the Linville Gorge Wilderness Area. For more about this waterfall, check out our Linville Falls blog post from May of this year. 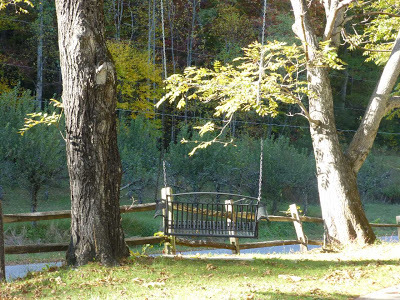 The Orchard at Altapass: Located off the Blue Ridge Parkway at Milepost 328.3 near Spruce Pine is the Orchard at Altapass, established by the Clinchfield Railroad over 100 years ago. Today, the orchard is part of a non-profit organization, and visitors can enjoy apples (of course! ), as well as hayrides, storytelling, music on the weekends, and a store with all kinds of goodies like fudge and kettle corn, and handmade craft items. 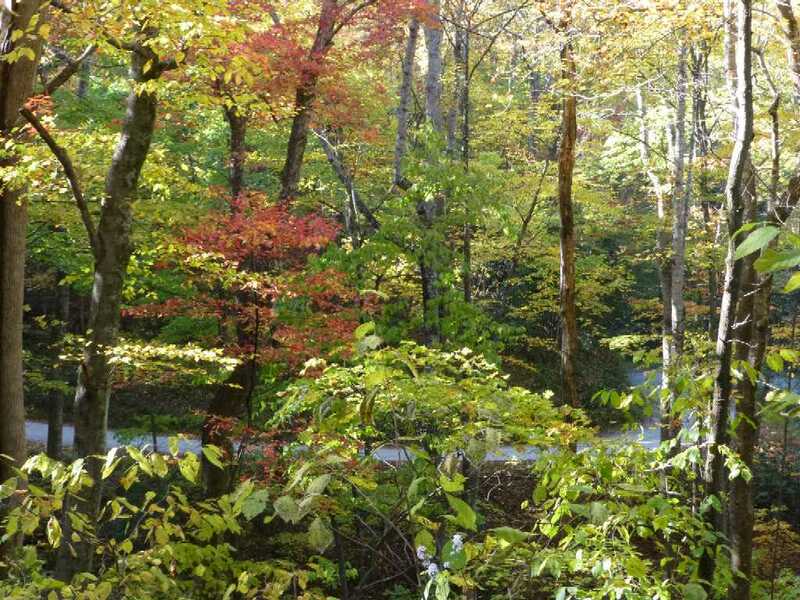 Visitors also can take in the breathtaking beauty of the mountain fall foliage along the Blue Ridge Parkway. Check with us if you want to get out and explore the Craggies — we have trail maps here at the Inn. Montreat: The town of Montreat is located just north of the town of Black Mountain, about 15 minutes from the Inn on Mill Creek. The conference center at Montreat has an extensive, well-maintained trail system. 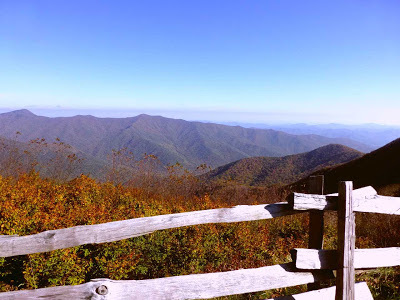 One of our favorite hikes in Montreat is Lookout Mountain, a moderate trail a little over a half mile long that climbs up to a rocky outcropping above 3,500 feet, with a gorgeous view of the Black Mountains. and our swing…come sit a spell and watch the leaves behind the orchard change! Stay tuned…the fall color peak is approaching our elevation!